With over 3000km of coast from Noth to South, combined with the tropical weather full of sunshine most of the year, tasty cuisine, and friendly people, there is more and more travelers choosing Vietnam for relaxing.When choosing a tropical island for beach relaxing, which one comes to your mind? Phu Quoc Vietnam is must be on the top list. 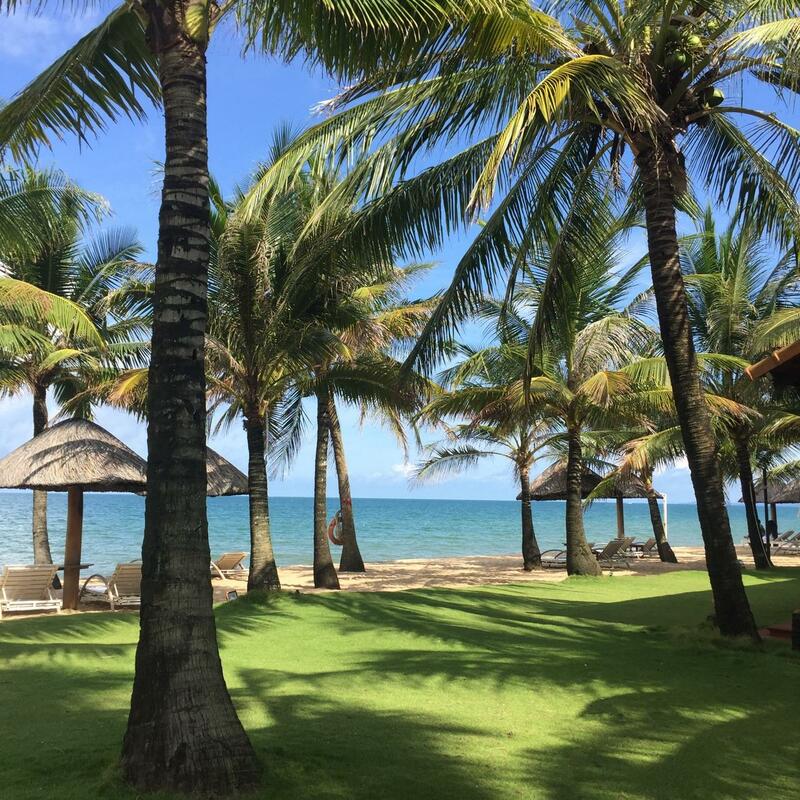 Here are some tips for you to have a great holiday in Phu Quoc – the Pearl island of Vietnam. The temperature on the island is high all around the year – always over 20 Degree Celsius that offer the warm water to swim. It is, however the seasons on the island – the dry one and the rainy one. The best time to go is during the dry season, from November to the next March. Sunny skies,the temperature is between 25 – 28 Degree is ideally for swimming, sunbath and snorkeling. Shoulder season from April to June is fairly good. April and May are the hottest months and temperature can reach 35 Degrees and humidity around 80% and higher. During July and September, there will be heavy showers expected in the late afternoon with average monthly rainfall between 190 – 360mm. There are still days with beautiful sunshine, but when the rain comes it can stay for a couple of days, so it’s better to check the weather carefully before deciding to come during this time. For some budget travelers, there are small hotel/hostels in the Duong Dong Town, which is convenient for shopping and markets, but far from the beach. Room rates ranging from 10$-50$/room/night. There are many good resorts that own private beach on the Island, most of them are 4 – 5 star standards with luxury services. You can choose the eco concept or the modern bungalow, they’re equipped with the modern facilities, AC and located in a lovely green campus. The resorts gather on the central – west of the Island. It is not cheap as some people thinks when traveling to the Southeast Asia – of course, but worth to spend for relaxing. You will love the beach, definitely. 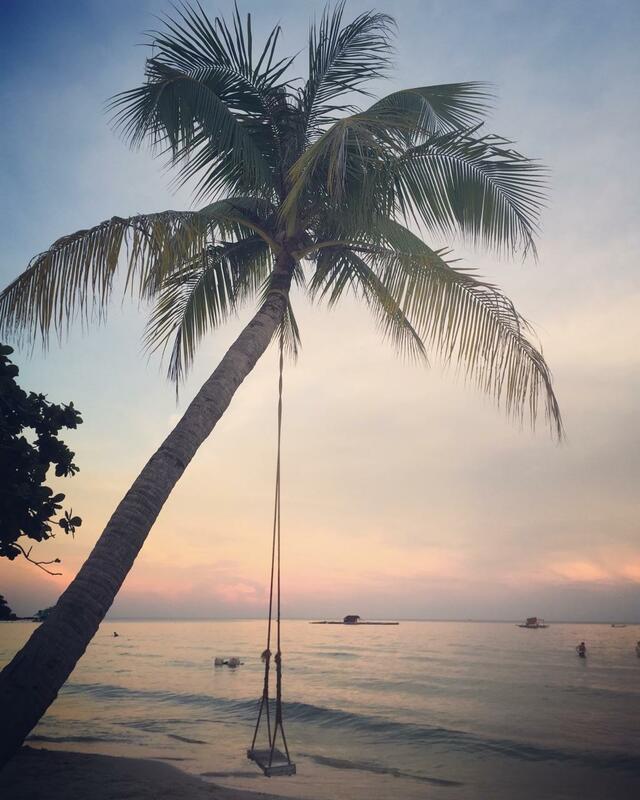 After your swimming, lying on the bench under a coconut tree while hearing the sound of waves, next to you is a cold pinna colada – come on, who don’t love it? The blue ocean stretches then meet the turquoise sky, some white clouds is playing and you will have a summer snap with a beautiful dream. 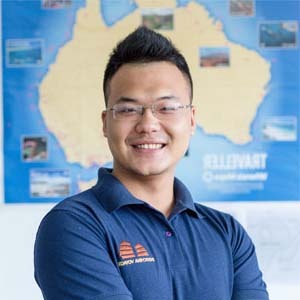 The Long Beach and Ong Lang Beach has the calm waves and great to enjoy the sunset, while the Bai Sao Beach in the East side offers soft waves and white sands- from which there comes many stunning photos on the magazines and Instagram. Snorkeling and Scuba diving are also beloved in the North Long Beach, Starfish beach, Thom beach or An Thoi Island. 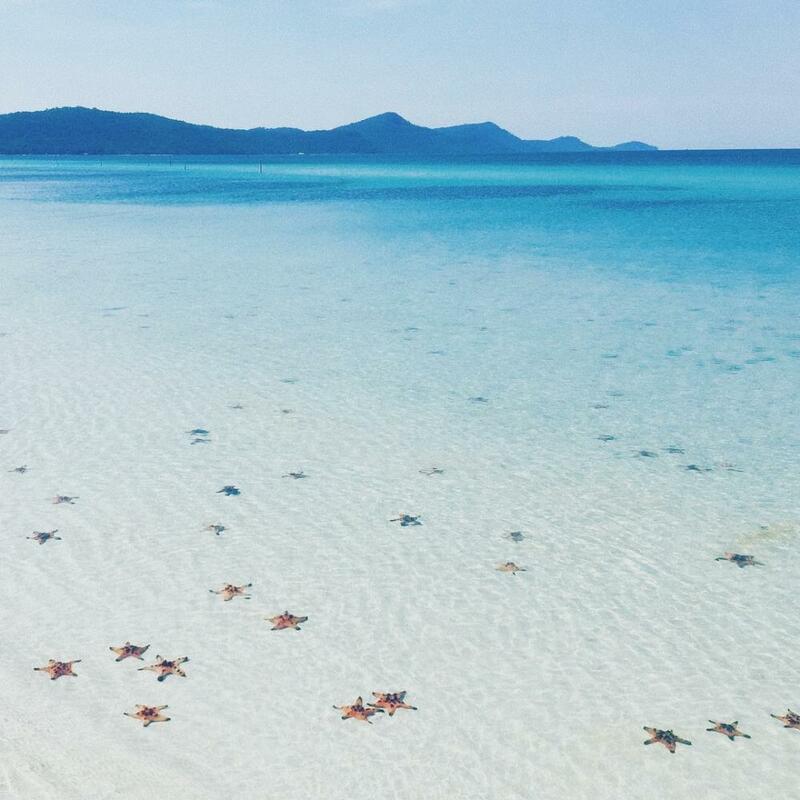 In the crystal water, you can have the chance to see many types of living colorful creatures. Suoi Tranh is a fresh and beautiful 4-meter water fall surrounded by lust rainforest, caves and rocks. The fall is not too far and it takes an easy walk from the main entrance. It is a great feeling when dip your feet to the cool water of the stream in a hot day. Showering is allowed so you can consider bringing your swimsuit. For those who love hiking, you can go further to reach the Grotto of Bats. You also can learn a bit more about the history by traveling to Phu Quoc Prison. During the Vietnam War, it was the place where the soldiers were tortured by different ways. It is better to visit the prison in the morning to avoid the heat in the midday. It is daily opened from 7.30am – 11.00am and 1.30pm – 5.00pm. Tour guides are available in a variety of languages. 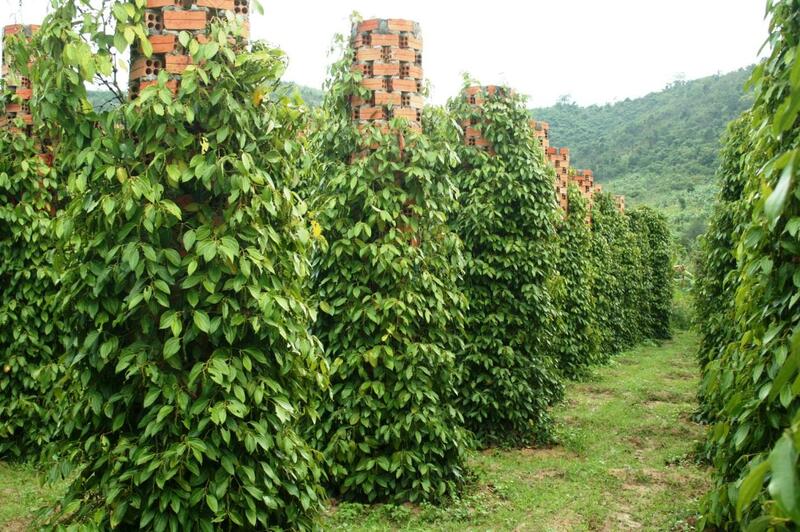 Ham Ninh Fishing Village, Dinh Cau Market in the Duong Dong town, the pepper farm, the myrtle fruit farm is the place you can learn more about the local life. The road on the island is easy with no traffic jam, thus if you want a bit adventurous and experience the feeling like a real local, it is recommended to hire a motorbike (only 10-15$/day). All the tours are easy to book at any hotels/resorts you’re staying. Just ask the staffs and they would be happy to assist. Phu Quoc Vietnam offers the very fresh and delicious seafood. It is not exaggerated to say that it is the seafood heaven. The island offers some unique tasty dishes. Try to taste it like a local and you won’t regret. 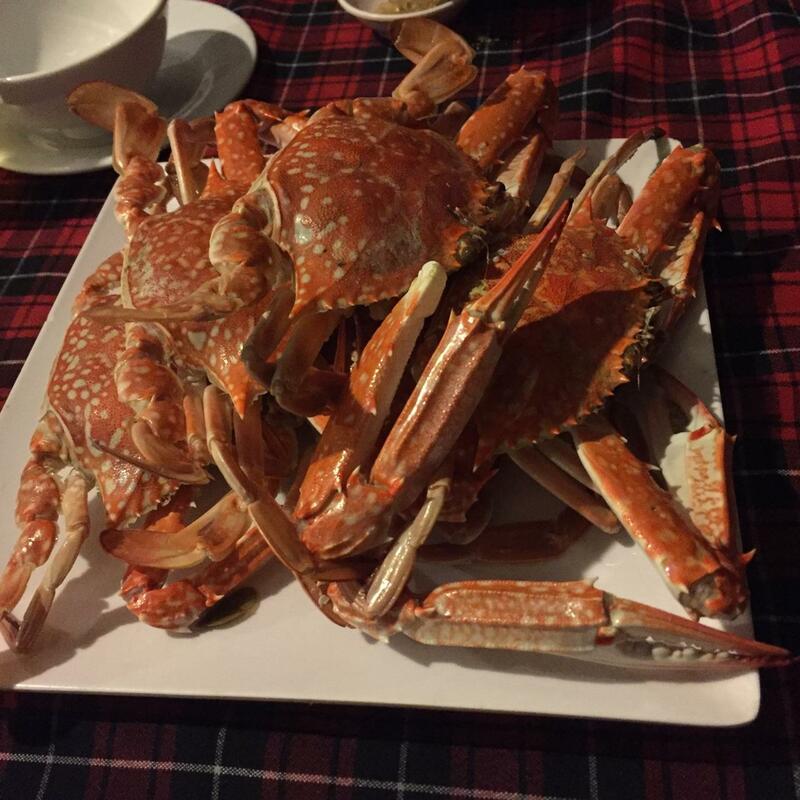 The fresh crab is boiled when it is still alive, right after being caught from the ocean get a great texture and sweetness in every bite. It goes perfectly when dipping in the salt, black pepper and lime juice sauce, served with the cold beer. An Thoi Island is known as the hometown of this dish. Bien Mai is a kind of scallop that living deeply in the sea. We cannot eat the meat but only a small coin-size white sinew, that makes this dish is faily expensive. It has the sweet taste and good smell, which is used in some dishes such as the grilled Bien Mai with special sauces, Bien Mai porridge, streamed Bien Mai, sweet and sour shuttered Bien Mai. Also being called the sea headhodge, the sea urchins live deeply in the sea from the intertidal to 5000 meters. It is also known as the “uni” in the Japanese sushi. Fresh urchin has been caught from the ocean are selected in half, carefully rinsed and removed the dirt. The light yellow part has been taken and mixed some lemon juice and mustard, then it’s ready to serve. In Phu Quoc Vietnam, people have a different way for those who don’t like to it the urchin raw – they will lightly grill and serve it with the mixture of pepper and lemon juice, or the scallions oil, add up some roasted peanuts. The dish has a creamy consistency and is rich in nutrition. 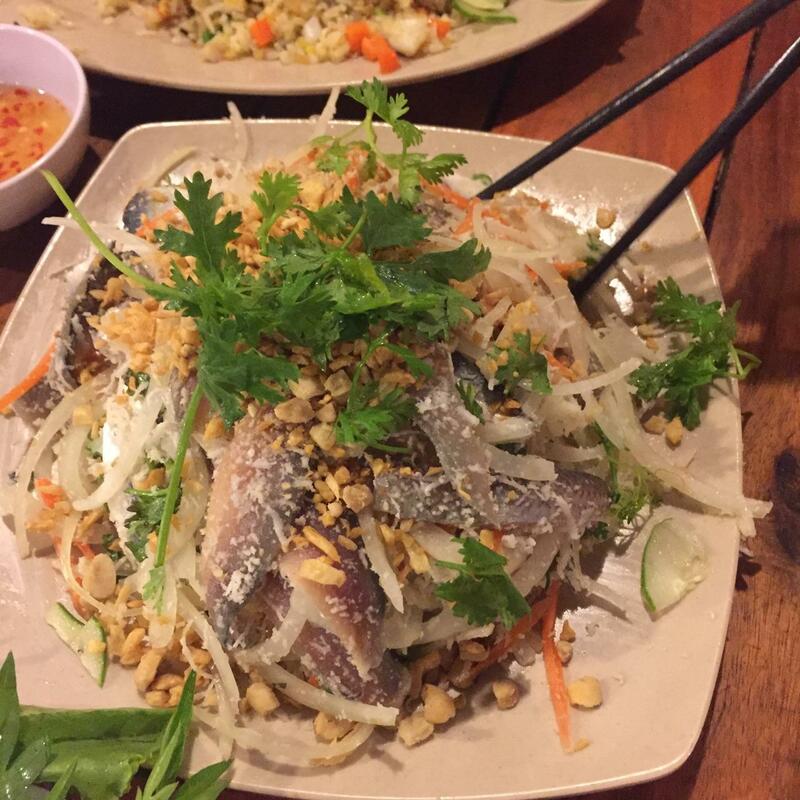 There are still many famous and delicious dishes are waiting for you to discover such as the herring salad, the fried squid with fish sauce, crab rice, seafood stir-fried with green fresh pepper, the boletus mushroom, etc. All the dishes are easily found in local restaurants in town or the Dinh Cau Market. Raw herrige fish salad – Looks scary but taste yummy. Will you try it once? Will you come to Phu Quoc once, to eat, to see, to relax and to live? The island is waiting for you, with a short flight from Saigon.